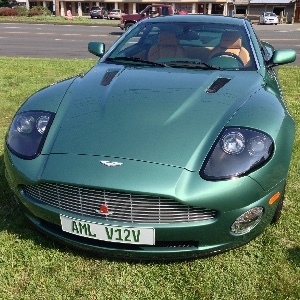 Categories > Events > USA East Coast Events > Aston Martin get togethers in So FL? Is there ever anything going on in the AM world in south Florida? Chirp chirp chirp! I'm pretty sure I've seen one or 2 of these cars around . Maybe just not members? You'd be far better off posing this question on the 6SpeedOnline AM forum. I've never heard of that site. Thanks, I'll check it out! We have an annual get together in January around Cavallino, usually around 60 members get together at Palm Beach Yacht Club. Factory folks usually there with new cars. We also usually have a presence at Boca Concours. We have many members in South Florida, especially in the winter! Our Florida Area Rep lives in WPB. Check out our new North America website at http://www.amocna.org for his contact info. I know there's a Cars & Coffee he's involved with every month. Sorry we don't usually check this Forum, we should do better! Hello Tom, thanks for the info! I'll check it out. I'll be in Miami from 16th Dec onwards for a short while. No Aston as it wouldn't fit in my suitcase. If anyone is in the area I'm more than happy to meet up and say hi. Hi Guys in S-Fl., I hope you have managed to arrange some get-togethers. However - if you look carefully enough you'll find the original James Bond DB5 in a private collection down there!